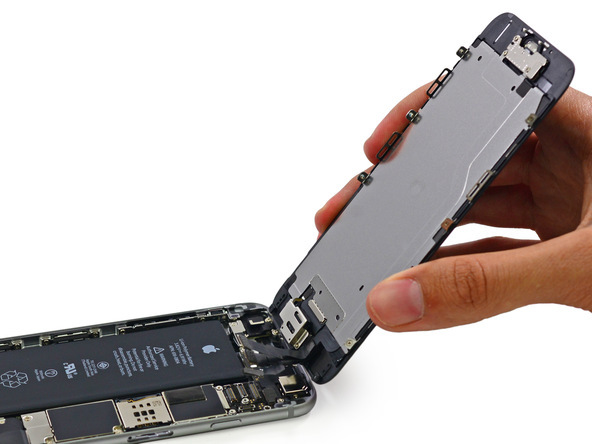 The folks over at iFixit, who flew down to Australia to be one of the first to teardown the iPhone 6 Plus, have continued their iPhone 6 teardown to reveal chips from NXP, SK Hynix, Skyworks Solutions and other companies. Like previous iPhones, the iPhone 6 also uses a Qualcomm 4G LTE modem. 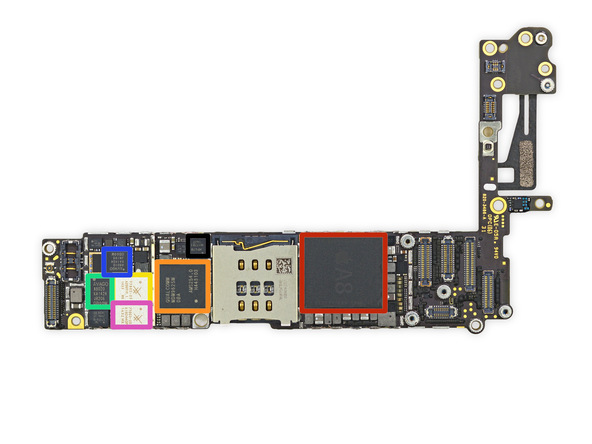 Disassembling the iPhone 6 in a Mac repair shop, the experts also discovered a Murata (6981.T) wifi module, a Broadcom touchscreen controller, and chips from Avago and TriQuint. The NFC chip in the iPhone 6 Plus comes from NXP Semiconductors, in line with most investors’ expectations. NXP also supplies the iPhone’s motion co-processor, which is a key to making its sensors work without draining its battery. The iPhone 6 features an 1810 mAh, 3.82 V Lithium-ion Polymer battery with an energy rating of 6.91 Wh. While its fair bit smaller than the iPhone 6 Plus’s 11.1 Wh, 2915 mAh battery, but still a notable bump from the 1560 mAh unit in the iPhone 5s. 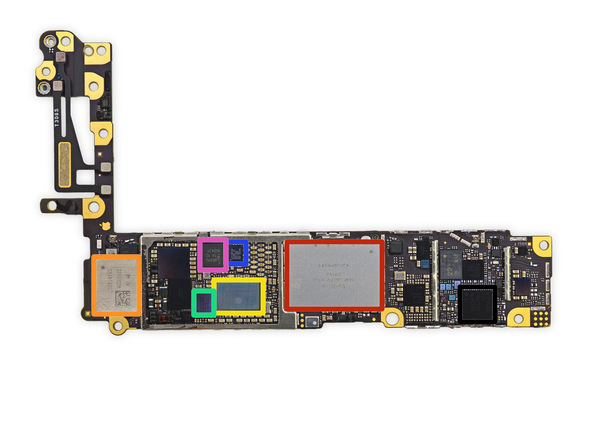 You can follow the teardown in detail at iFixit’s website here.